We’re excited to announce the addition of Helium Leak Detection to our service portfolio with the purchase of a state-of-the-art SIMS 1284+ platform from LDA, Inc. 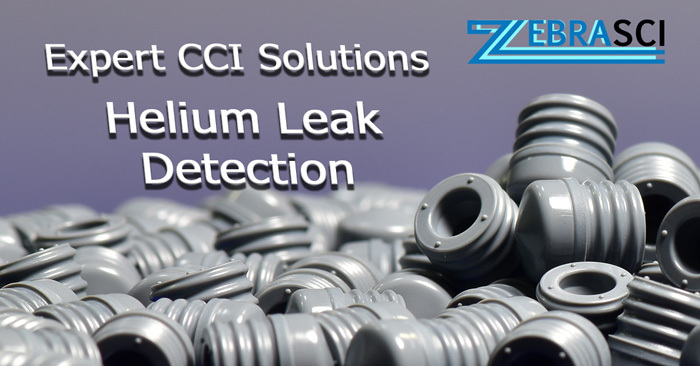 Helium Leak Detection is not only a robust and reliable solution for ensuring Container Closure Integrity (CCI) for critical parenteral applications – but the technology is also well suited for package design, failure analysis, tooling qualification, line setup and validation, and product quality monitoring. Helium Leak Detection technology is a highly sensitive leak test providing quantitative leak rate data. The technology is so sensitive that it can help determine the relationship between a specific syringe barrel/piston combination, as well as how silicone/lubrication levels impact seal quality. The rate at which helium escapes from a container can be closely correlated to the rate at which water vapor, oxygen or other gasses may enter or escape from a container. The combined effect of various packaging materials/forms, production line settings, and stability storage conditions can all be directly assessed. Another benefit of helium leak detection testing technology is the ability to evaluate a container under conditions of use, e.g. direct comparison of package performance at room temp, -20˚C, -80˚C, and cryogenic (-178 ˚C) storage. “In addition to our programs assessing the variability in critical geometries for primary container components, such as syringe barrels and pistons, adding a sensitive leak testing method like helium leak detection upfront in the development phase allows our clients to gage the inherent integrity of their packaging system,” says Eric Creveling, Director, Laboratory Services, ZebraSci. Helium Leak Testing per ASTM F2391, has long been recognized by the FDA as a consensus standard for package integrity evaluation. The test method is also referenced in the United States Pharmacopeia Chapter on CCI – USP <1207>. ZebraSci’s experienced engineers are well versed in helium leak detection and other highly sensitive CCI methods. We can guide you to the best approach for your product/package combination from parental applications to sterile barrier materials. Contact us today to learn more about applications for Helium Leak Detection and our other solutions for Container Closure Integrity.